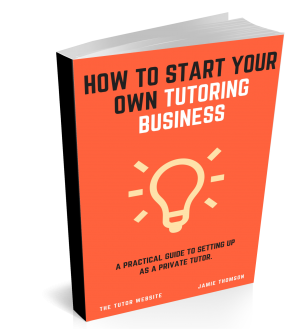 Whether you’re looking to create an extra income to supplement another job, or you want to work as a tutor full time, you’ll find this book incredibly useful in getting you started and helping you sustain a successful private tutoring business. Written by Jamie Thomson of The Tutor Website, at £21.99, this 16,000+ word guide costs less than the average tutor charges per hour. Download our acclaimed eBook today and kick-start your private tutoring business. This guide is packed with useful information from the author and other successful tutors.